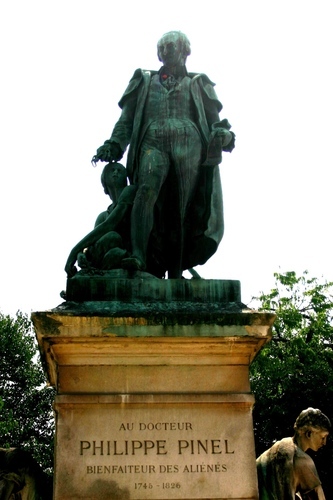 In the square in front of the main entrance to the Hôpital de la Salpêtrière, in Paris, there is a large bronze monument to Philippe Pinel, who was chief physician of the Hospice from 1795 to his death in 1826. 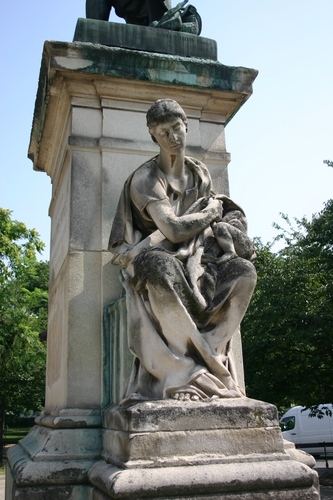 The Salpêtrière was, at the time, like a large village, with seven thousand elderly indigent and ailing women, an entrenched bureaucracy, a teeming market and huge infirmaries. 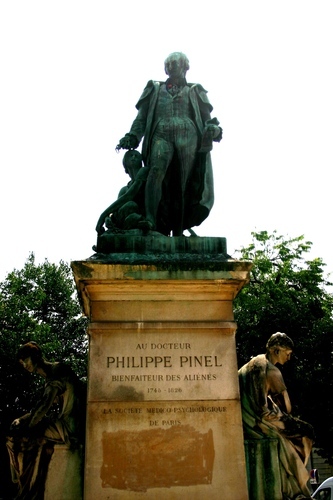 Pinel created an inoculation clinic in his service at the Salpêtrière in 1799 and the first vaccination in Paris was given there in April 1800. 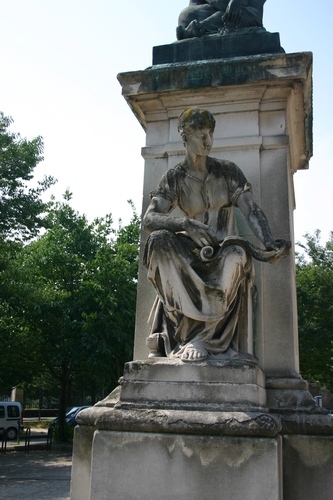 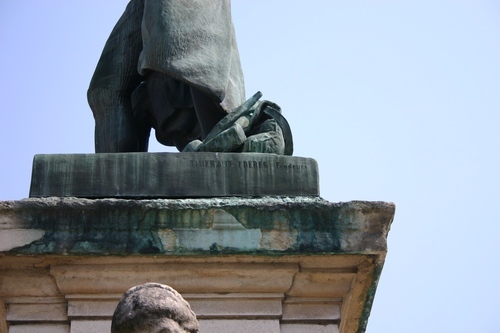 The monument was modeled by Ludovic Durand in 1879 and the fusion was made by the brothers Thiébaut. 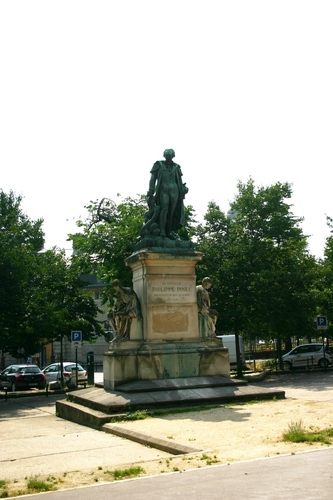 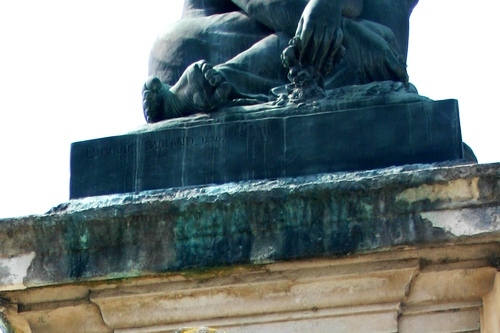 On the basament of the statue, there is the following inscription in french: AU DOCTEUR / PHILIPPE PINEL / BIENFAITEUR DES ALIENES / 1745 - 1826 / LA SOCIETE MEDICO-PSYCHOLOGIQUE DE PARIS.